Get one of each color and save. Includes 5 different color Pro Makeup Blenders About the Product ACHIEVE FLAWLESS CONTOURS, HIGHLIGHTS AND BLENDING - With its exceptionally soft texture, these make-up blenders feel extraordinary on your skin, but also provide results that are attained only by expert makeup artists. Use them for contouring cheekbones or for blending to create an even, beautiful finish every time. 'WATER DROP' INNOVATION - With a tear drop design, these two makeup sponges provides you perfect contact for those hard-to-reach areas that other blenders miss. Get splendid results effortlessly when you use these applicators. Use the larger black sponge for your foundation and the small pink one for your concealer or corrector. 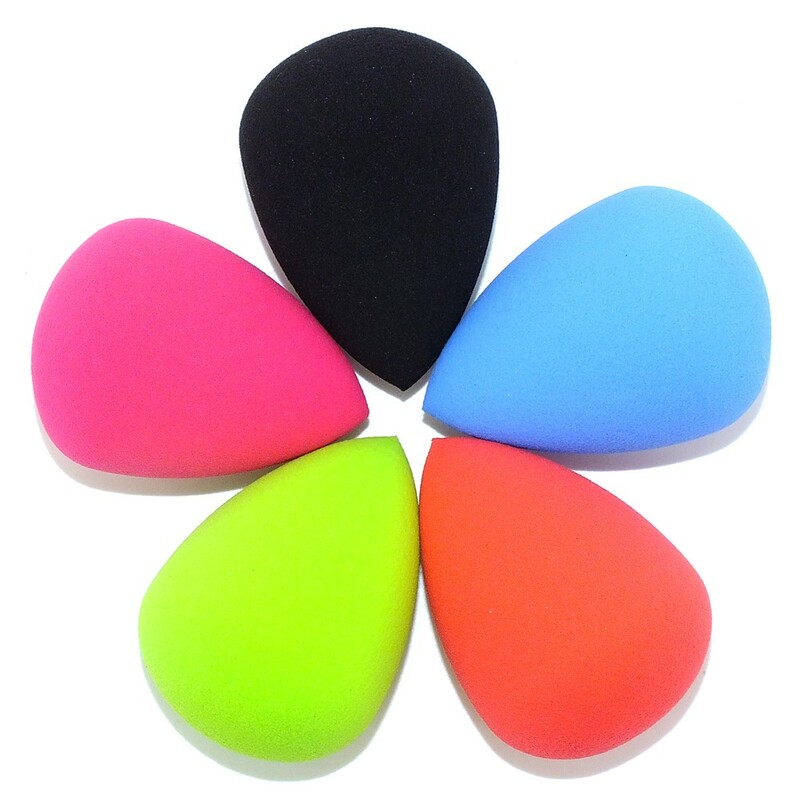 Plus, with their symmetrical design, these sponge blenders fit perfectly in your hands. UNBLEMISHED SKIN EVERY TIME - Achieve a runway model look that professional make-up artists create for celebrities. Look perfect every day in 10 minutes or less thanks to these ingenious beauty sponges that puts the timeworn method of using your hands and fingers to shame.